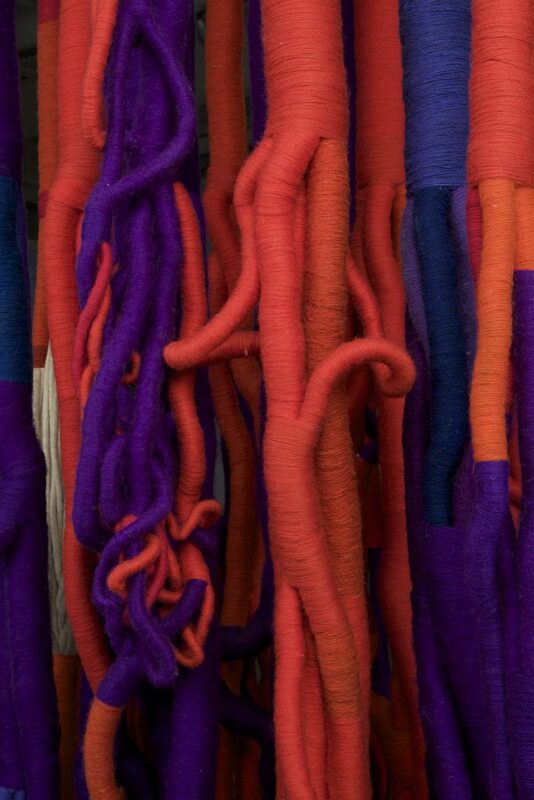 Sheila Hicks: 50 Years is the first major retrospective to honor this extraordinary American artist. 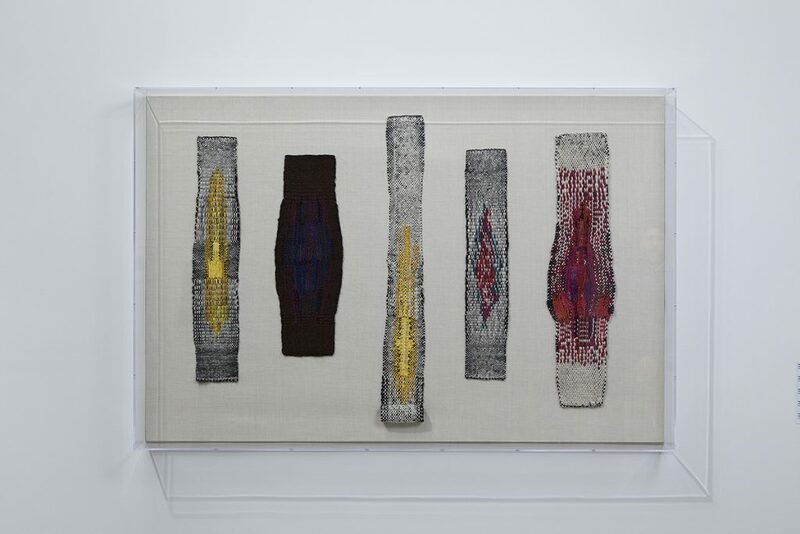 Sheila Hicks has built an international reputation with her two- and three-dimensional works in fiber. Her remarkably far-reaching artistic focus has encompassed painting, sculpture, photography, weaving, fabric design, writing, publishing, teaching, and collaborating with architects. 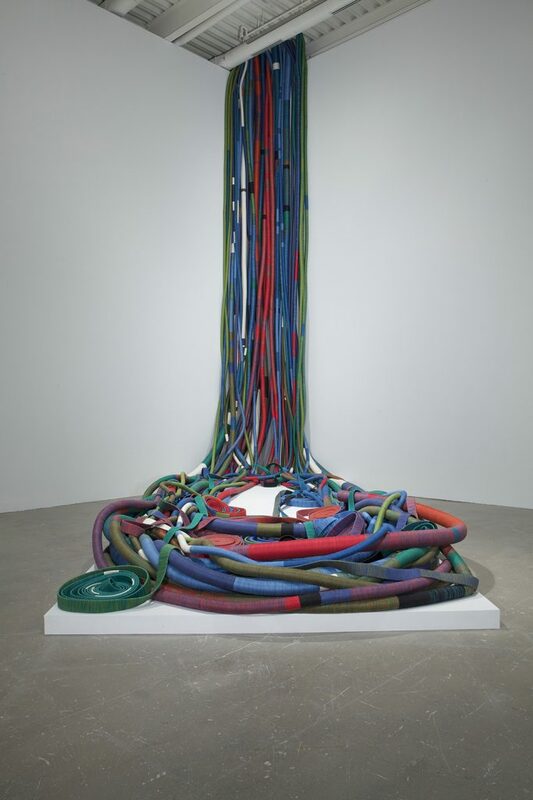 Her early work of the 1960s was at the forefront of experimentation in sculpture. By the 1980s, it had taken hold. Since that time, her unique work has explored the dynamic interactions of color and the skills required to hone an aesthetic vision in multiple media. 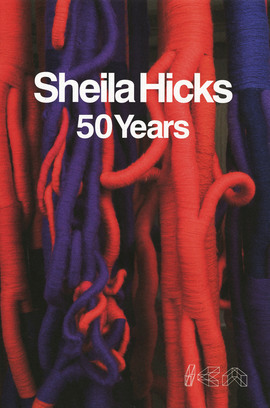 Sheila Hicks: 50 Years will be on view in ICA’s first floor gallery March 24-August 7, 2011. Featuring more than 90 of her most important works, including a major installation of a work on loan from Target’s headquarters in Minneapolis displayed in an entirely new iteration, this exhibition offers insight into Hicks’s thinking, her processes, and her approach to materials in both fibers and found objects. The project reveals the continuities between the artist’s small weavings and free-standing wrapped sculptures, and a colossal 20-foot-high work suspended from gallery ceiling and cascading from the wall. Hicks’s exceptional body of work blurs boundaries between art, design, and architecture just as deftly as it crisscrosses cultures. 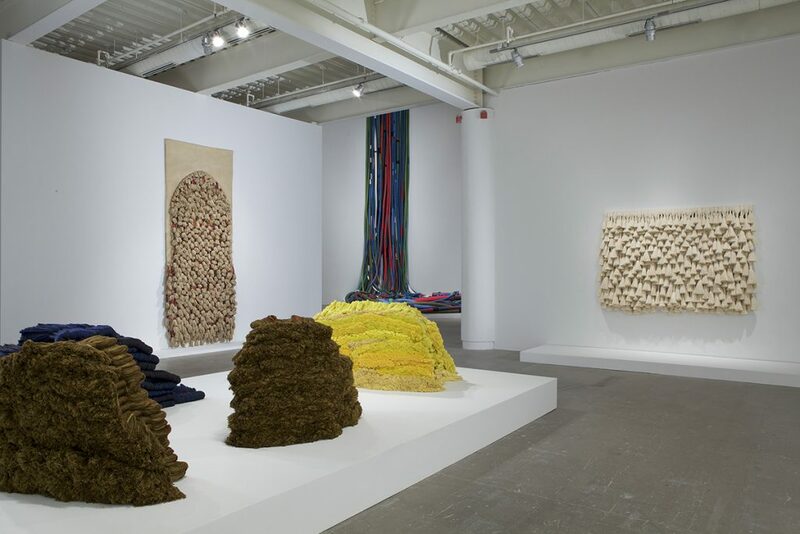 Sheila Hicks: 50 Years is organized by the Addison Gallery of American Art in Andover, Massachusetts, and co-curated by independent curator Joan Simon and Addison Gallery Associate Director and Curator Susan Faxon. At ICA, the exhibition is coordinated by Curator Jenelle Porter. After the close of this exhibition at ICA, Sheila Hicks: 50 Years traveled to the Mint Museum of Craft + Design in Charlotte, North Carolina (October 1, 2011-January 29, 2012). 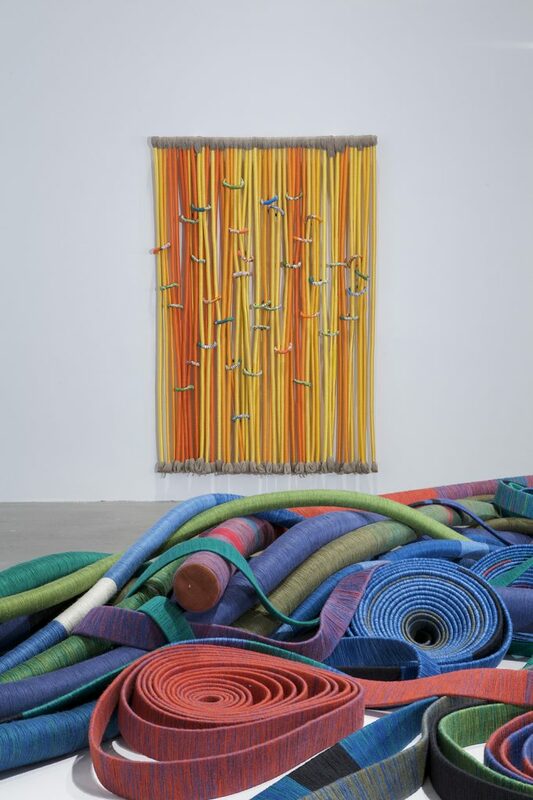 Sheila Hicks: 50 Years, 2011, installation view, Institute of Contemporary Art, University of Pennsylvania. Photo: Aaron Igler/Greenhouse Media. "The ICA presentation of Sheila Hicks: 50 Years has been made possible by primary sponsorship from The Pew Center for Arts and Heritage through the Philadelphia Exhibitions Initiative. Additional funding has been provided by The Horace W. Goldsmith Foundation; the Commonwealth of Pennsylvania Council on the Arts, a state agency; The Dietrich Foundation, Inc.; the Overseers Board for the Institute of Contemporary Art; friends and members of ICA; the University of Pennsylvania; and Elaine Hornick Finkelstein. ICA acknowledges Le Meridien Philadelphia as our official Unlock ArtTM partner hotel. Inkind support provided by Target. On the occasion of Sheila Hicks: 50 Years, we are producing a publication illustrating ICAs installation with generous support from the Barbara B. & Theodore R. Aronson Endowment Fund. The Addison Gallery of American Art wishes to thank the J. Mark Rudkin Charitable Foundation, The Coby Foundation, Ltd., Saundra B. Lane, The Poss Family Foundation, Nancy B. Tieken, Able Trust, Target Corporation, Friends of Fiber Art International, Dirck and Lee Born, and several anonymous donors for their generous support for the exhibition and publication."